You may have noticed some builds going up this afternoon. 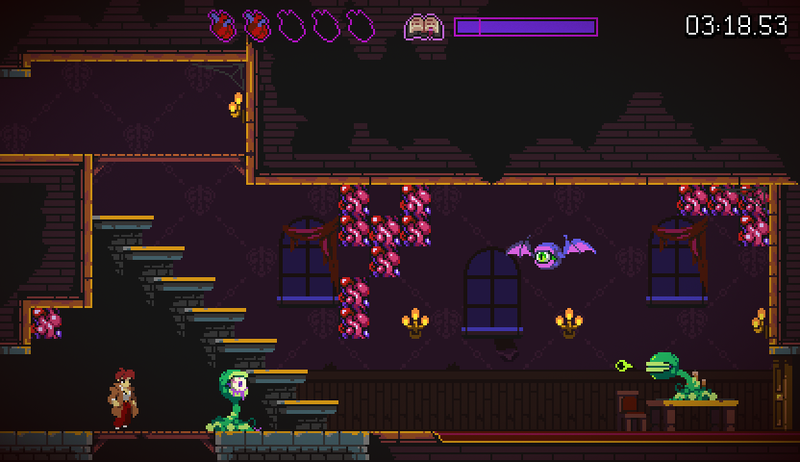 That's because Lore Finder's demo has gotten a big update, including the implementation of the Non-Euclidean Horror Algarott boss fight, we've also added a new enemy type, and we've added a titlescreen and a special speedrun mode. With the speedrun mode starts the Lore Finder speedrun contest! The top three winners before the contest ends (at 3am Eastern time on December 24th) will be immortalized in the full release of the game through a gold, silver, and bronze trophy bearing their names and run times. Additionally, Adam Harrington - best known as the voice of Bigby Wolf in Telltale's The Wolf Among Us - has said he'll join our voice cast as the voice of Bertram! Not only that, but Adam was kind enough to voice one of Bertram's journal entries for us, wherein Bertram expresses his frustration at his past mediocrity, and rambles about human nature and the true meaning of science in an increasingly unhinged monologue. We're so glad to have Adam's support for this project, and we hope you find his performance as chilling and enthralling as we did. If you want to help make sure we hit our next stretch goal, and the voice acting goal beyond it, please keep sharing Lore Finder. We can't do it without your help!